Stock certificates contain unique tracking numbers. 2. What Is Invested Capital Vs. Enterprise Value? 3. What Is the Most Basic Factor That Affects Stock Price? While most stock today is held in "street name" (that is, held electronically) for you by your broker, stock certificates are still available from some companies. A stock certificate, or share certificate, is a special piece of paper that represents your ownership of a piece of the company. It contains all of the information needed to track it and your ownership of it. They're considered an archaic way to trade and prove ownership of stock, but some traders like to buy them as collector's items. Stock certificates contain all the information necessary to identify the stock and who owns it, including a certificate number, a CUSIP number, the number of shares, the name of the corporation and of course, your name, as the owner. Limited liability companies have a similar document called an ownership certificate. A stock certificate usually contains a group of numbers on its face. Each certificate has its own certificate number, issued by the company, which allows it to be tracked. It also has a CUSIP number issued by the Committee on Uniform Securities Identification Procedures that is also used to track the certificate. Finally, it also has the number of shares that it represents written on its face. A stock certificate also has a series of names. It carries the name of the company whose stock is represented. Your certificate will also have your name on it, certifying that you are the owner of the stock. Finally, the certificate will be dated -- indicating the day on which you became the owner of the shares. While some stock certificates are relatively plain, others are highly decorative, featuring artwork that represents their businesses. In fact, there's even a term for people who collect stock certificates that may be worthless from an investment perspective, but who like their aesthetic value: scripophily. Most certificates are signed by a company representative and by the person responsible for registering them. They may also contain a seal of authenticity. Famously, stock certificates for the Walt Disney Company contain colorful drawings of Disney's famous characters. The certificates are still available to buy as a collector's item, but they're not issued automatically with the purchase of stock and are merely a whimsical gift. These days, most companies only issue stock certificates upon request. You can ask the company directly for a copy, or you can go through a broker (although you'll have to pay a fee for the service). The company may have a transfer agent who manages the company's stocks, and that person may be the one to issue the certificate. 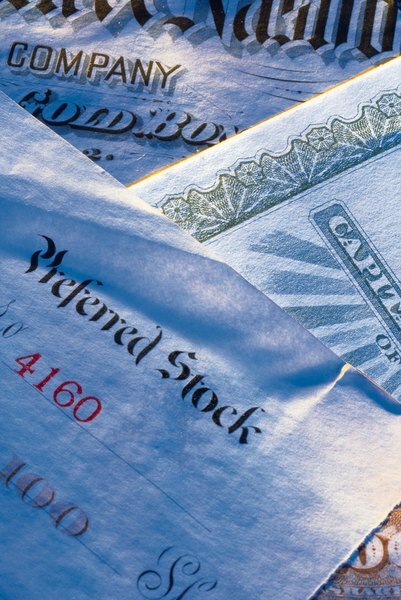 Choosing to do business with stock certificates can cause challenges. Most brokerages don't like to deal with them because they're inconvenient and expensive to handle. As such, while you might be able to trade stocks online for a few dollars a trade, it's not uncommon to have to pay fees that run into the hundreds of dollars to trade using your stock certificates. Nowadays, most stock trading is done electronically. You can buy and sell shares online, in real time, without leaving your desk, and you don't need a stock certificate to prove your ownership. Stock certificates are generally most useful as wall art or as a physical representation of a gift. Blumberg: What is the Difference Between Stock Certificates and Ownership Certificates? What Does Equity in Assets Mean? Are Federal Taxes Due When Selling Unpatented Mining Claims?